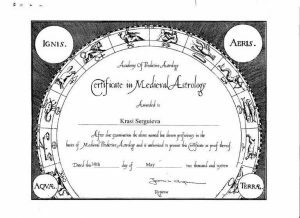 Dr. Krasi Attasio DMA is Bulgarian sidereal astrologer of ancient astrology who gained her doctoral degree in cross-cultural psychology from the UBI in Brussels, Belgium. 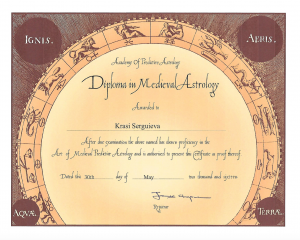 She is a graduate of the Academy of Medieval Astrology of Robert Zoller in London where she obtained the DMA title in medieval astrology (below are the diplomas). 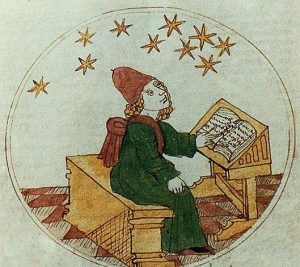 Krasi is an astronomy graduate of the Belgian observatory Urania. 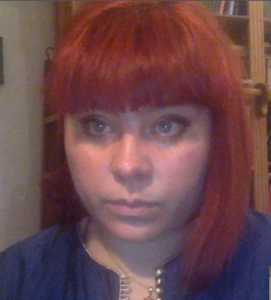 She is a student and researcher of Assyriology of the Ghent University of Belgium. 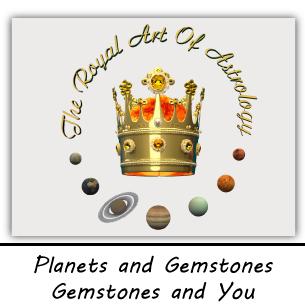 Her research profile is on the translation of ancient astronomical text from Accadian- a language spoken in ancient Babylon. 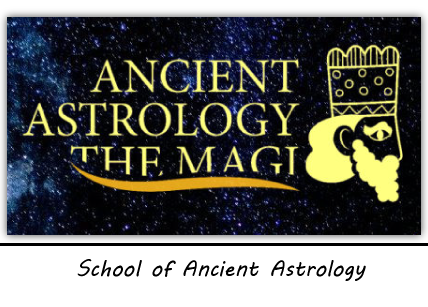 She currently offers worldwide astrology consultations using the valuable methods of the ancient Mesopotamians dated 5500 years BC and is a professor and a founder of The School of Ancient Astrology the Magi.